Today i will discuss about how to Configure CDR Parameters in ZTE OLT. 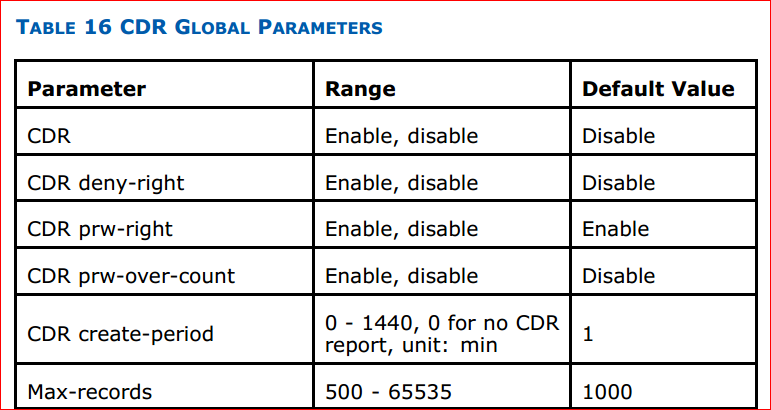 Table 16 describes ranges and default values of CDR global parameters. 1. Use the configure terminal command to enter global configuration mode. 2. Use the iptv cdr enable command to enable global CDR function. 3. Use the iptv cdr max-records command to configure CDR maximum records. 4. Use the iptv cdr report command to report CDR manually. 5. Use the iptv cdr report-interval command to configure CDR automatic report interval. 6. 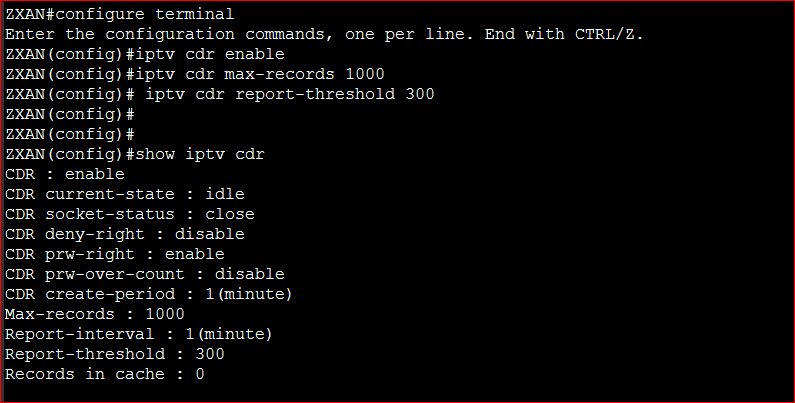 Use the iptv cdr report-threshold command to configure CDR automatic report threshold. 7. Use the iptv cdr create-period command to configure CDR generating period. 8. Use the iptv cdr deny-right command to enable or disable CDR function when user right is deny. 9. Use the iptv cdr prw-right command to enable or disable CDR function when user right is preview. 10. Use the iptv cdr prw-overcount command to enable or disable CDR function when user preview count is over limit. 11. Use the iptv cdr clear command to clear CDR record. 12. Use the show iptv cdr command to query CDR configuration. Enter the configuration commands, one per line. End with CTRL/Z.